Home Barcode Printers Barcode Ribbons Datamax IQWax Certified Thermal Transfer Wax, Wax/Resin and Resin Ribbons Datamax IQWax Thermal Transfer Wax Ribbons for E-Class Mark III Printers, Size: 110mm x 110 Meters, 48rolls/box, MoQ: 48. Datamax IQWax Thermal Transfer Wax Ribbons for E-Class Mark III Printers, Size: 110mm x 110 Meters, 48rolls/box, MoQ: 48. Datamax IQWax Thermal Transfer Wax Ribbons for E-Class Mark III Printers, Size: 110mm x 110 Meters, 48rolls/box, MoQ: 48. - Datamax IQWax Certified Thermal Transfer Wax Ribbon for E-Class Mark III Printers, Size: 110mm (width) x 110 Meters (length), 48 Rolls per Box, Core ID: 0.5" (12.5mm) - Minimum Order Quantity: 48. Datamax IQMID Thermal Transfer Wax/Resin Ribbon for M-Class, I-Class and H-Class Printers, Size: 102mm x 360 Meters, 12rolls/box, MoQ: 12. - Datamax IQMID Certified Thermal Transfer Wax/Resin Ribbon for Datamax M-Class, I-Class and H-Class Printers, Size: 102mm (width) x 360 Meters (length), 12 Rolls per Box, Core ID: 1.0" (25.4mm) - Minimum Order Quantity: 12. Datamax IQMID Thermal Transfer Wax/Resin Ribbon for M-Class, I-Class and H-Class Printers, Size: 110mm x 360 Meters, 12rolls/box, MoQ: 12. - Datamax IQMID Certified Thermal Transfer Wax/Resin Ribbon for Datamax M-Class, I-Class and H-Class Printers, Size: 110mm (width) x 360 Meters (length), 12 Rolls per Box, Core ID: 1.0" (25.4mm) - Minimum Order Quantity: 12. Datamax IQMID Thermal Transfer Wax/Resin Ribbon for M-Class, I-Class and H-Class Printers, Size: 110mm x 450 Meters, 12rolls/box, MoQ: 12. - Datamax IQMID Certified Thermal Transfer Wax/Resin Ribbon for Datamax M-Class, I-Class and H-Class Printers, Size: 110mm (width) x 450 Meters (length), 12 Rolls per Box, Core ID: 1.0" (25.4mm) - Minimum Order Quantity: 12. Datamax IQRES Thermal Transfer Resin Ribbons for M-Class, I-Class and H-Class Printers, Size: 114mm x 360 Meters, 12rolls/box, MoQ: 48. - Datamax IQRES Certified Thermal Transfer Resin Ribbon for Datamax M-Class, I-Class and H-Class Printers, Size: 114mm (width) x 360 Meters (length), 12 Rolls per Box, Core ID: 1.0" (25.4mm) - Minimum Order Quantity: 48. Datamax IQMID Thermal Transfer Wax/Resin Ribbon for M-Class, I-Class and H-Class Printers, Size: 114m x 360 Meters, 12rolls/box, MoQ: 48. - Datamax IQMID Certified Thermal Transfer Wax/Resin Ribbon for Datamax M-Class, I-Class and H-Class Printers, Size: 114m (width) x 360 Meters (length), 12 Rolls per Box, Core ID: 1.0" (25.4mm) - Minimum Order Quantity: 48. Datamax IQRES Thermal Transfer Resin Ribbons for M-Class, I-Class and H-Class Printers, Size: 110mm x 360 Meters, 12rolls/box, MoQ: 12. - Datamax IQRES Certified Thermal Transfer Resin Ribbon for Datamax M-Class, I-Class and H-Class Printers, Size: 110mm (width) x 360 Meters (length), 12 Rolls per Box, Core ID: 1.0" (25.4mm) - Minimum Order Quantity: 12. Datamax IQRES Thermal Transfer Resin Ribbons for M-Class, I-Class and H-Class Printers, Size: 110mm x 450 Meters, 12rolls/box, MoQ: 12. - Datamax IQRES Certified Thermal Transfer Resin Ribbon for Datamax M-Class, I-Class and H-Class Printers, Size: 110mm (width) x 450 Meters (length), 12 Rolls per Box, Core ID: 1" (25.4mm) - Minimum Order Quantity: 12. Datamax IQRES Thermal Transfer Resin Ribbons for M-Class, I-Class and H-Class Printers, Size: 220mm x 450 Meters, 12rolls/box, MoQ: 48. - Datamax IQRES Certified Thermal Transfer Resin Ribbon for Datamax M-Class, I-Class and H-Class Printers, Size: 220mm (width) x 450 Meters (length), 12 Rolls per Box, Core ID: 1" (25.4mm) - Minimum Order Quantity: 48. Datamax IQRES Thermal Transfer Resin Ribbons for M-Class, I-Class and H-Class Printers, Size: 60mm x 360 Meters, 24rolls/box, MoQ: 24. - Datamax IQRES Certified Thermal Transfer Resin Ribbon for Datamax M-Class, I-Class and H-Class Printers, Size: 60mm (width) x 360 Meters (length), 24 Rolls per Box, Core ID: 1.0" (25.4mm) - Minimum Order Quantity: 24. Datamax IQWax Thermal Transfer Wax Ribbons for M-Class, I-Class and H-Class Printers, Size: 102mm x 360 Meters, 12rolls/box, MoQ: 12. - Datamax IQWax Certified Thermal Transfer Wax Ribbon for Datamax M-Class, I-Class and H-Class Printers, Size: 102mm (width) x 360 Meters (length), 12 Rolls per Box, Core ID: 1.0" (25.4mm) - Minimum Order Quantity: 12. Datamax IQWax Thermal Transfer Wax Ribbons for M-Class, I-Class and H-Class Printers, Size: 110mm x 360 Meters, 12rolls/box, MoQ: 12. - Datamax IQWax Certified Thermal Transfer Wax Ribbon for Datamax M-Class, I-Class and H-Class Printers, Size: 110mm (width) x 360 Meters (length), 12 Rolls per Box, Core ID: 1.0" (25.4mm) - Minimum Order Quantity: 12. Datamax IQWax Thermal Transfer Wax Ribbons for M-Class, I-Class and H-Class Printers, Size: 110mm x 450 Meters, 12rolls/box, MoQ: 12. - Datamax IQWax Certified Thermal Transfer Wax Ribbon for Datamax M-Class, I-Class and H-Class Printers, Size: 110mm (width) x 450 Meters (length), 12 Rolls per Box, Core ID: 1.0" (25.4mm) - Minimum Order Quantity: 12. Datamax IQWax Thermal Transfer Wax Ribbons for M-Class, I-Class and H-Class Printers, Size: 114mm x 360 Meters, 12rolls/box, MoQ: 12. - Datamax IQWax Certified Thermal Transfer Wax Ribbon for Datamax M-Class, I-Class and H-Class Printers, Size: 114mm (width) x 360 Meters (length), 12 Rolls per Box, Core ID: 1.0" (25.4mm) - Minimum Order Quantity: 12. Datamax IQWax Thermal Transfer Wax Ribbons for M-Class, I-Class and H-Class Printers, Size: 150mm x 450 Meters, 12rolls/box, MoQ: 48. - Datamax IQWax Certified Thermal Transfer Wax Ribbon for Datamax M-Class, I-Class and H-Class Printers, Size: 150mm (width) x 450 Meters (length), 12 Rolls per Box, Core ID: 1.0" (25.4mm) - Minimum Order Quantity: 48. Datamax IQWax Thermal Transfer Wax Ribbons for M-Class, I-Class and H-Class Printers, Size: 166mm x 360 Meters, 12rolls/box, MoQ: 48. - Datamax IQWax Certified Thermal Transfer Wax Ribbon for Datamax M-Class, I-Class and H-Class Printers, Size: 166mm (width) x 360 Meters (length), 12 Rolls per Box, Core ID: 1.0" (25.4mm) - Minimum Order Quantity: 48. Datamax IQWax Thermal Transfer Wax Ribbons for M-Class, I-Class and H-Class Printers, Size: 38mm x 450 Meters, 48rolls/box, MoQ: 48. - Datamax IQWax Certified Thermal Transfer Wax Ribbon for Datamax M-Class, I-Class and H-Class Printers, Size: 38mm (width) x 450 Meters (length), 48 Rolls per Box, Core ID: 1.0" (25.4mm) - Minimum Order Quantity: 48. Datamax IQWax Thermal Transfer Wax Ribbons for M-Class, I-Class and H-Class Printers, Size: 55mm x 360 Meters, 24rolls/box, MoQ: 24. - Datamax IQWax Certified Thermal Transfer Wax Ribbon for Datamax M-Class, I-Class and H-Class Printers, Size: 55mm (width) x 360 Meters (length), 24 Rolls per Box, Core ID: 1.0" (25.4mm) - Minimum Order Quantity: 24. Datamax IQWax Thermal Transfer Wax Ribbons for M-Class, I-Class and H-Class Printers, Size: 65mm x 360 Meters, 24rolls/box, MoQ: 48. - Datamax IQWax Certified Thermal Transfer Wax Ribbon for Datamax M-Class, I-Class and H-Class Printers, Size: 65mm (width) x 360 Meters (length), 24 Rolls per Box, Core ID: 1.0" (25.4mm) - Minimum Order Quantity: 48. Datamax IQWax Thermal Transfer Wax Ribbons for M-Class, I-Class and H-Class Printers, Size: 76mm x 360 Meters, 24rolls/box, MoQ: 24. - Datamax IQWax Certified Thermal Transfer Wax Ribbon for Datamax M-Class, I-Class and H-Class Printers, Size: 76mm (width) x 360 Meters (length), 24 Rolls per Box, Core ID: 1.0" (25.4mm) - Minimum Order Quantity: 24. Datamax IQWax Thermal Transfer Wax Ribbons for M-Class, I-Class and H-Class Printers, Size: 90mm x 360 Meters, 24rolls/box, MoQ: 24. - Datamax IQWax Certified Thermal Transfer Wax Ribbon for Datamax M-Class, I-Class and H-Class Printers, Size: 90mm (width) x 360 Meters (length), 24 Rolls per Box, Core ID: 1.0" (25.4mm) - Minimum Order Quantity: 24. Datamax IQMID Thermal Transfer Wax/Resin Ribbon for E-Class Mark III Printers, Size: 110mm x 110 Meters, 48rolls/box, MoQ: 48. - Datamax IQMID Certified Thermal Transfer Wax/Resin Ribbon for E-Class Mark III Printers, Size: 110mm (width) x 110 Meters (length), 48 Rolls per Box, Core ID: 0.5" (12.5mm) - Minimum Order Quantity: 48. Datamax IQRES Thermal Transfer Resin Ribbons for E-Class Mark III Printers, Size: 110mm x 110 Meters, 48rolls/box, MoQ: 48. - Datamax IQRES Certified Thermal Transfer Resin Ribbon for Datamax E-Class Mark III Printers, Size: 110mm (width) x 110 Meters (length), 48 Rolls per Box, Core ID: 0.5" (12.5mm) - Minimum Order Quantity: 48. Datamax IQRES Thermal Transfer Resin Ribbons for MP Nova, E-Class Mark III Printers, Size: 110mm x 300 Meters, 24rolls/box, MoQ: 48. - Datamax IQRES Certified Thermal Transfer Resin Ribbon for Datamax MP Nova, E-Class Mark III Printers, Size: 110mm (width) x 300 Meters (length), 24 Rolls per Box, Core ID: 1.0" (25.4mm) - Minimum Order Quantity: 48. Datamax IQRES Thermal Transfer Resin Ribbons for E-Class Mark III Printers, Size: 64mm x 110 Meters, 48rolls/box, MoQ: 48. - Datamax IQRES Certified Thermal Transfer Resin Ribbon for Datamax E-Class Mark III Printers, Size: 64mm (width) x 110 Meters (length), 48 Rolls per Box, Core ID: 0.5" (12.5mm) - Minimum Order Quantity: 48. Datamax IQRES Thermal Transfer Resin Ribbons for MP Nova, E-Class Mark III Printers, Size: 64mm x 300 Meters, 24rolls/box, MoQ: 48. - Datamax IQRES Certified Thermal Transfer Resin Ribbon for Datamax MP Nova, E-Class Mark III Printers, Size: 64mm (width) x 300 Meters (length), 24 Rolls per Box, Core ID: 1.0" (25.4mm) - Minimum Order Quantity: 48. Datamax IQWax Thermal Transfer Wax Ribbons for E-Class Mark III Printers, Size: 64mm x 110 Meters, 48rolls/box, MoQ: 48. - Datamax IQWax Certified Thermal Transfer Wax Ribbon for E-Class Mark III Printers, Size: 64mm (width) x 110 Meters (length), 48 Rolls per Box, Core ID: 0.5" (12.5mm) - Minimum Order Quantity: 48. Datamax IQWax Thermal Transfer Wax Ribbons for E-Class Mark III Printers, Size: 64mm x 300 Meters, 24rolls/box, MoQ: 48. - Datamax IQWax Certified Thermal Transfer Wax Ribbon for E-Class Mark III Printers, Size: 64mm (width) x 300 Meters (length), 24 Rolls per Box, Core ID: 1.0" (25.4mm) - Minimum Order Quantity: 48. Datamax IQWax Thermal Transfer Wax Ribbons for M-Class, I-Class and H-Class Printers, Size: 83mm x 360 Meters, 24rolls/box, MoQ: 48. - Datamax IQWax Certified Thermal Transfer Wax Ribbon for Datamax M-Class, I-Class and H-Class Printers, Size: 83mm (width) x 360 Meters (length), 24 Rolls per Box, Core ID: 1.0" (25.4mm) - Minimum Order Quantity: 48. Datamax IQMID Thermal Transfer Wax/Resin Ribbon for M-Class, I-Class and H-Class Printers, Size: 38mm x 360 Meters, 48rolls/box, MoQ: 48. - Datamax IQMID Certified Thermal Transfer Wax/Resin Ribbon for Datamax M-Class, I-Class and H-Class Printers, Size: 38mm (width) x 360 Meters (length), 48 Rolls per Box, Core ID: 1.0" (25.4mm) - Minimum Order Quantity: 48. Datamax IQMID Thermal Transfer Wax/Resin Ribbon for E-Class Mark III Printers, Size: 64mm x 110 Meters, 48rolls/box, MoQ: 48. - Datamax IQMID Certified Thermal Transfer Wax/Resin Ribbon for E-Class Mark III Printers, Size: 64mm (width) x 110 Meters (length), 48 Rolls per Box, Core ID: 0.5" (12.5mm) - Minimum Order Quantity: 48. Datamax IQRES Thermal Transfer Resin Ribbons for M-Class, I-Class and H-Class Printers, Size: 102mm x 360 Meters, 12rolls/box, MoQ: 12. - Datamax IQRES Certified Thermal Transfer Resin Ribbon for Datamax M-Class, I-Class and H-Class Printers, Size: 102mm (width) x 360 Meters (length), 12 Rolls per Box, Core ID: 1.0" (25.4mm) - Minimum Order Quantity: 12. Datamax IQRES Thermal Transfer Resin Ribbons for M-Class, I-Class and H-Class Printers, Size: 150mm x 450 Meters, 12rolls/box, MoQ: 48. - Datamax IQRES Certified Thermal Transfer Resin Ribbon for Datamax M-Class, I-Class and H-Class Printers, Size: 150mm (width) x 450 Meters (length), 12 Rolls per Box, Core ID: 1" (25.4mm) - Minimum Order Quantity: 48. Datamax IQRES Thermal Transfer Resin Ribbons for M-Class, I-Class and H-Class Printers, Size: 65mm x 360 Meters, 24rolls/box, MoQ: 48. - Datamax IQRES Certified Thermal Transfer Resin Ribbon for Datamax M-Class, I-Class and H-Class Printers, Size: 65mm (width) x 360 Meters (length), 24 Rolls per Box, Core ID: 1.0" (25.4mm) - Minimum Order Quantity: 48. Datamax IQRES Thermal Transfer Resin Ribbons for M-Class, I-Class and H-Class Printers, Size: 65mm x 450 Meters, 24rolls/box, MoQ: 48. - Datamax IQRES Certified Thermal Transfer Resin Ribbon for Datamax M-Class, I-Class and H-Class Printers, Size: 65mm (width) x 450 Meters (length), 24 Rolls per Box, Core ID: 1" (25.4mm) - Minimum Order Quantity: 48. Datamax IQWax Thermal Transfer Wax Ribbons for E-Class Mark III Printers, Size: 110mm x 300 Meters, 24rolls/box, MoQ: 48. - Datamax IQWax Certified Thermal Transfer Wax Ribbon for E-Class Mark III Printers, Size: 110mm (width) x 300 Meters (length), 24 Rolls per Box, Core ID: 1.0" (25.4mm) - Minimum Order Quantity: 48. Datamax IQWax Thermal Transfer Wax Ribbons for M-Class, I-Class and H-Class Printers, Size: 130mm x 450 Meters, 12rolls/box, MoQ: 48. - Datamax IQWax Certified Thermal Transfer Wax Ribbon for Datamax M-Class, I-Class and H-Class Printers, Size: 130mm (width) x 450 Meters (length), 12 Rolls per Box, Core ID: 1.0" (25.4mm) - Minimum Order Quantity: 48. Datamax IQWax Thermal Transfer Wax Ribbons for M-Class, I-Class and H-Class Printers, Size: 38mm x 360 Meters, 48rolls/box, MoQ: 48. - Datamax IQWax Certified Thermal Transfer Wax Ribbon for Datamax M-Class, I-Class and H-Class Printers, Size: 38mm (width) x 360 Meters (length), 48 Rolls per Box, Core ID: 1.0" (25.4mm) - Minimum Order Quantity: 48. Datamax IQWax Thermal Transfer Wax Ribbons for M-Class, I-Class and H-Class Printers, Size: 50mm x 360 Meters, 24rolls/box, MoQ: 24. - Datamax IQWax Certified Thermal Transfer Wax Ribbon for Datamax M-Class, I-Class and H-Class Printers, Size: 50mm (width) x 360 Meters (length), 24 Rolls per Box, Core ID: 1.0" (25.4mm) - Minimum Order Quantity: 24. Datamax IQMID Thermal Transfer Wax/Resin Ribbon for M-Class, I-Class and H-Class Printers, Size: 60mm x 360 Meters, 24rolls/box, MoQ: 248. - Datamax IQMID Certified Thermal Transfer Wax/Resin Ribbon for Datamax M-Class, I-Class and H-Class Printers, Size: 60mm (width) x 360 Meters (length), 24 Rolls per Box, Core ID: 1.0" (25.4mm) - Minimum Order Quantity: 248. Datamax IQMID Thermal Transfer Wax/Resin Ribbon for M-Class, I-Class and H-Class Printers, Size: 76mm x 360 Meters, 24rolls/box, MoQ: 48. - Datamax IQMID Certified Thermal Transfer Wax/Resin Ribbon for Datamax M-Class, I-Class and H-Class Printers, Size: 76mm (width) x 360 Meters (length), 24 Rolls per Box, Core ID: 1.0" (25.4mm) - Minimum Order Quantity: 48. Datamax IQWax Thermal Transfer Wax Ribbons for M-Class, I-Class and H-Class Printers, Size: 25mm x 360 Meters, 48rolls/box, MoQ: 48. - Datamax IQWax Certified Thermal Transfer Wax Ribbon for Datamax M-Class, I-Class and H-Class Printers, Size: 25mm (width) x 360 Meters (length), 48 Rolls per Box, Core ID: 1.0" (25.4mm) - Minimum Order Quantity: 48. Datamax IQWax Thermal Transfer Wax Ribbons for M-Class, I-Class and H-Class Printers, Size: 60mm x 360 Meters, 24rolls/box, MoQ: 24. - Datamax IQWax Certified Thermal Transfer Wax Ribbon for Datamax M-Class, I-Class and H-Class Printers, Size: 60mm (width) x 360 Meters (length), 24 Rolls per Box, Core ID: 1.0" (25.4mm) - Minimum Order Quantity: 24. Datamax IQWax Thermal Transfer Wax Ribbons for M-Class, I-Class and H-Class Printers, Size: 130mm x 360 Meters, 12rolls/box, MoQ: 48. - Datamax IQWax Certified Thermal Transfer Wax Ribbon for Datamax M-Class, I-Class and H-Class Printers, Size: 130mm (width) x 360 Meters (length), 12 Rolls per Box, Core ID: 1.0" (25.4mm) - Minimum Order Quantity: 48. Datamax IQWax Thermal Transfer Wax Ribbons for M-Class, I-Class and H-Class Printers, Size: 150mm x 360 Meters, 12rolls/box, MoQ: 48. - Datamax IQWax Certified Thermal Transfer Wax Ribbon for Datamax M-Class, I-Class and H-Class Printers, Size: 150mm (width) x 360 Meters (length), 12 Rolls per Box, Core ID: 1.0" (25.4mm) - Minimum Order Quantity: 48. Datamax IQWax Thermal Transfer Wax Ribbons for M-Class, I-Class and H-Class Printers, Size: 220mm x 360 Meters, 6rolls/box, MoQ: 48. - Datamax IQWax Certified Thermal Transfer Wax Ribbon for Datamax M-Class, I-Class and H-Class Printers, Size: 220mm (width) x 360 Meters (length), 6 Rolls per Box, Core ID: 1.0" (25.4mm) - Minimum Order Quantity: 48. Datamax IQWax Thermal Transfer Wax Ribbons for M-Class, I-Class and H-Class Printers, Size: 25mm x 450 Meters, 48rolls/box, MoQ: 48. - Datamax IQWax Certified Thermal Transfer Wax Ribbon for Datamax M-Class, I-Class and H-Class Printers, Size: 25mm (width) x 450 Meters (length), 48 Rolls per Box, Core ID: 1.0" (25.4mm) - Minimum Order Quantity: 48. Datamax IQWax Thermal Transfer Wax Ribbons for M-Class, I-Class and H-Class Printers, Size: 50mm x 450 Meters, 24rolls/box, MoQ: 48. - Datamax IQWax Certified Thermal Transfer Wax Ribbon for Datamax M-Class, I-Class and H-Class Printers, Size: 50mm (width) x 450 Meters (length), 24 Rolls per Box, Core ID: 1.0" (25.4mm) - Minimum Order Quantity: 48. Datamax IQWax Thermal Transfer Wax Ribbons for M-Class, I-Class and H-Class Printers, Size: 55mm x 450 Meters, 24rolls/box, MoQ: 48. - Datamax IQWax Certified Thermal Transfer Wax Ribbon for Datamax M-Class, I-Class and H-Class Printers, Size: 55mm (width) x 450 Meters (length), 24 Rolls per Box, Core ID: 1.0" (25.4mm) - Minimum Order Quantity: 48. Datamax IQWax Thermal Transfer Wax Ribbons for M-Class, I-Class and H-Class Printers, Size: 60mm x 450 Meters, 24rolls/box, MoQ: 48. - Datamax IQWax Certified Thermal Transfer Wax Ribbon for Datamax M-Class, I-Class and H-Class Printers, Size: 60mm (width) x 450 Meters (length), 24 Rolls per Box, Core ID: 1.0" (25.4mm) - Minimum Order Quantity: 48. Datamax IQWax Thermal Transfer Wax Ribbons for M-Class, I-Class and H-Class Printers, Size: 65mm x 450 Meters, 24rolls/box, MoQ: 48. - Datamax IQWax Certified Thermal Transfer Wax Ribbon for Datamax M-Class, I-Class and H-Class Printers, Size: 65mm (width) x 450 Meters (length), 24 Rolls per Box, Core ID: 1.0" (25.4mm) - Minimum Order Quantity: 48. Datamax IQWax Thermal Transfer Wax Ribbons for M-Class, I-Class and H-Class Printers, Size: 76mm x 450 Meters, 24rolls/box, MoQ: 24. - Datamax IQWax Certified Thermal Transfer Wax Ribbon for Datamax M-Class, I-Class and H-Class Printers, Size: 76mm (width) x 450 Meters (length), 24 Rolls per Box, Core ID: 1.0" (25.4mm) - Minimum Order Quantity: 24. Datamax IQWax Thermal Transfer Wax Ribbons for M-Class, I-Class and H-Class Printers, Size: 83mm x 450 Meters, 12rolls/box, MoQ: 48. - Datamax IQWax Certified Thermal Transfer Wax Ribbon for Datamax M-Class, I-Class and H-Class Printers, Size: 83mm (width) x 450 Meters (length), 12 Rolls per Box, Core ID: 1.0" (25.4mm) - Minimum Order Quantity: 48. Datamax IQWax Thermal Transfer Wax Ribbons for M-Class, I-Class and H-Class Printers, Size: 90mm x 450 Meters, 12rolls/box, MoQ: 48. - Datamax IQWax Certified Thermal Transfer Wax Ribbon for Datamax M-Class, I-Class and H-Class Printers, Size: 90mm (width) x 450 Meters (length), 12 Rolls per Box, Core ID: 1.0" (25.4mm) - Minimum Order Quantity: 48. Datamax IQWax Thermal Transfer Wax Ribbons for M-Class, I-Class and H-Class Printers, Size: 114mm x 450 Meters, 12rolls/box, MoQ: 48. - Datamax IQWax Certified Thermal Transfer Wax Ribbon for Datamax M-Class, I-Class and H-Class Printers, Size: 114mm (width) x 450 Meters (length), 12 Rolls per Box, Core ID: 1.0" (25.4mm) - Minimum Order Quantity: 48. Datamax IQWax Thermal Transfer Wax Ribbons for M-Class, I-Class and H-Class Printers, Size: 166mm x 450 Meters, 12rolls/box, MoQ: 48. - Datamax IQWax Certified Thermal Transfer Wax Ribbon for Datamax M-Class, I-Class and H-Class Printers, Size: 166mm (width) x 450 Meters (length), 12 Rolls per Box, Core ID: 1.0" (25.4mm) - Minimum Order Quantity: 48. Datamax IQWax Thermal Transfer Wax Ribbons for M-Class, I-Class and H-Class Printers, Size: 220mm x 450 Meters, 12rolls/box, MoQ: 48. - Datamax IQWax Certified Thermal Transfer Wax Ribbon for Datamax M-Class, I-Class and H-Class Printers, Size: 220mm (width) x 450 Meters (length), 12 Rolls per Box, Core ID: 1.0" (25.4mm) - Minimum Order Quantity: 48. Datamax IQWax Thermal Transfer Wax Ribbons for E-Class Mark III Printers, Size: 89mm x 300 Meters, 24rolls/box, MoQ: 48. - Datamax IQWax Certified Thermal Transfer Wax Ribbon for E-Class Mark III Printers, Size: 89mm (width) x 300 Meters (length), 24 Rolls per Box, Core ID: 1.0" (25.4mm) - Minimum Order Quantity: 48. Datamax IQWax Thermal Transfer Wax Ribbons for E-Class Mark III Printers, Size: 89mm x 110 Meters, 48rolls/box, MoQ: 48. - Datamax IQWax Certified Thermal Transfer Wax Ribbon for E-Class Mark III Printers, Size: 89mm (width) x 110 Meters (length), 48 Rolls per Box, Core ID: 0.5" (12.5mm) - Minimum Order Quantity: 48. Datamax IQMID Thermal Transfer Wax/Resin Ribbon for M-Class, I-Class and H-Class Printers, Size: 25mm x 360 Meters, 48rolls/box, MoQ: 48. - Datamax IQMID Certified Thermal Transfer Wax/Resin Ribbon for Datamax M-Class, I-Class and H-Class Printers, Size: 25mm (width) x 360 Meters (length), 48 Rolls per Box, Core ID: 1.0" (25.4mm) - Minimum Order Quantity: 48. Datamax IQMID Thermal Transfer Wax/Resin Ribbon for M-Class, I-Class and H-Class Printers, Size: 50mm x 360 Meters, 24rolls/box, MoQ: 48. - Datamax IQMID Certified Thermal Transfer Wax/Resin Ribbon for Datamax M-Class, I-Class and H-Class Printers, Size: 50mm (width) x 360 Meters (length), 24 Rolls per Box, Core ID: 1.0" (25.4mm) - Minimum Order Quantity: 48. Datamax IQMID Thermal Transfer Wax/Resin Ribbon for M-Class, I-Class and H-Class Printers, Size: 55mm x 360 Meters, 24rolls/box, MoQ: 48. - Datamax IQMID Certified Thermal Transfer Wax/Resin Ribbon for Datamax M-Class, I-Class and H-Class Printers, Size: 55mm (width) x 360 Meters (length), 24 Rolls per Box, Core ID: 1.0" (25.4mm) - Minimum Order Quantity: 48. Datamax IQMID Thermal Transfer Wax/Resin Ribbon for M-Class, I-Class and H-Class Printers, Size: 66mm x 360 Meters, 24rolls/box, MoQ: 48. - Datamax IQMID Certified Thermal Transfer Wax/Resin Ribbon for Datamax M-Class, I-Class and H-Class Printers, Size: 66mm (width) x 360 Meters (length), 24 Rolls per Box, Core ID: 1.0" (25.4mm) - Minimum Order Quantity: 48. Datamax IQMID Thermal Transfer Wax/Resin Ribbon for M-Class, I-Class and H-Class Printers, Size: 83mm x 360 Meters, 24rolls/box, MoQ: 24. - Datamax IQMID Certified Thermal Transfer Wax/Resin Ribbon for Datamax M-Class, I-Class and H-Class Printers, Size: 83mm (width) x 360 Meters (length), 24 Rolls per Box, Core ID: 1.0" (25.4mm) - Minimum Order Quantity: 24. Datamax IQMID Thermal Transfer Wax/Resin Ribbon for M-Class, I-Class and H-Class Printers, Size: 90mm x 360 Meters, 24rolls/box, MoQ: 48. - Datamax IQMID Certified Thermal Transfer Wax/Resin Ribbon for Datamax M-Class, I-Class and H-Class Printers, Size: 90mm (width) x 360 Meters (length), 24 Rolls per Box, Core ID: 1.0" (25.4mm) - Minimum Order Quantity: 48. Datamax IQMID Thermal Transfer Wax/Resin Ribbon for M-Class, I-Class and H-Class Printers, Size: 130mm x 360 Meters, 12rolls/box, MoQ: 48. - Datamax IQMID Certified Thermal Transfer Wax/Resin Ribbon for Datamax M-Class, I-Class and H-Class Printers, Size: 130mm (width) x 360 Meters (length), 12 Rolls per Box, Core ID: 1.0" (25.4mm) - Minimum Order Quantity: 48. Datamax IQMID Thermal Transfer Wax/Resin Ribbon for M-Class, I-Class and H-Class Printers, Size: 150mm x 360 Meters, 12rolls/box, MoQ: 48. - Datamax IQMID Certified Thermal Transfer Wax/Resin Ribbon for Datamax M-Class, I-Class and H-Class Printers, Size: 150mm (width) x 360 Meters (length), 12 Rolls per Box, Core ID: 1.0" (25.4mm) - Minimum Order Quantity: 48. Datamax IQMID Thermal Transfer Wax/Resin Ribbon for M-Class, I-Class and H-Class Printers, Size: 166mm x 360 Meters, 12rolls/box, MoQ: 48. - Datamax IQMID Certified Thermal Transfer Wax/Resin Ribbon for Datamax M-Class, I-Class and H-Class Printers, Size: 166mm (width) x 360 Meters (length), 12 Rolls per Box, Core ID: 1.0" (25.4mm) - Minimum Order Quantity: 48. Datamax IQMID Thermal Transfer Wax/Resin Ribbon for M-Class, I-Class and H-Class Printers, Size: 220mm x 360 Meters, 6rolls/box, MoQ: 48. - Datamax IQMID Certified Thermal Transfer Wax/Resin Ribbon for Datamax M-Class, I-Class and H-Class Printers, Size: 220mm (width) x 360 Meters (length), 6 Rolls per Box, Core ID: 1.0" (25.4mm) - Minimum Order Quantity: 48. Datamax IQMID Thermal Transfer Wax/Resin Ribbon for M-Class, I-Class and H-Class Printers, Size: 220mm x 450 Meters, 12rolls/box, MoQ: 48. 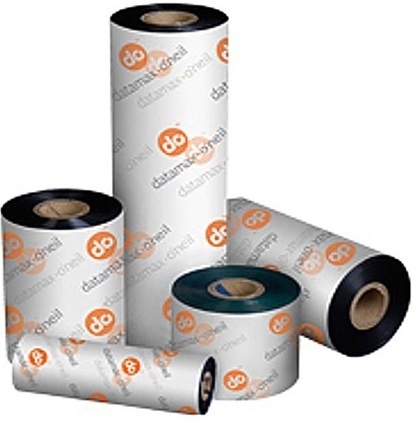 - Datamax IQMID Certified Thermal Transfer Wax/Resin Ribbon for Datamax M-Class, I-Class and H-Class Printers, Size: 220mm (width) x 450 Meters (length), 12 Rolls per Box, Core ID: 1.0" (25.4mm) - Minimum Order Quantity: 48. Datamax IQMID Thermal Transfer Wax/Resin Ribbon for M-Class, I-Class and H-Class Printers, Size: 166mm x 450 Meters, 12rolls/box, MoQ: 48. - Datamax IQMID Certified Thermal Transfer Wax/Resin Ribbon for Datamax M-Class, I-Class and H-Class Printers, Size: 166mm (width) x 450 Meters (length), 12 Rolls per Box, Core ID: 1.0" (25.4mm) - Minimum Order Quantity: 48. Datamax IQMID Thermal Transfer Wax/Resin Ribbon for M-Class, I-Class and H-Class Printers, Size: 150mm x 450 Meters, 12rolls/box, MoQ: 48. - Datamax IQMID Certified Thermal Transfer Wax/Resin Ribbon for Datamax M-Class, I-Class and H-Class Printers, Size: 150mm (width) x 450 Meters (length), 12 Rolls per Box, Core ID: 1.0" (25.4mm) - Minimum Order Quantity: 48. Datamax IQMID Thermal Transfer Wax/Resin Ribbon for M-Class, I-Class and H-Class Printers, Size: 130mm x 450 Meters, 12rolls/box, MoQ: 48. - Datamax IQMID Certified Thermal Transfer Wax/Resin Ribbon for Datamax M-Class, I-Class and H-Class Printers, Size: 130mm (width) x 450 Meters (length), 12 Rolls per Box, Core ID: 1.0" (25.4mm) - Minimum Order Quantity: 48. Datamax IQMID Thermal Transfer Wax/Resin Ribbon for M-Class, I-Class and H-Class Printers, Size: 114mm x 450 Meters, 12rolls/box, MoQ: 48. - Datamax IQMID Certified Thermal Transfer Wax/Resin Ribbon for Datamax M-Class, I-Class and H-Class Printers, Size: 114mm (width) x 450 Meters (length), 12 Rolls per Box, Core ID: 1.0" (25.4mm) - Minimum Order Quantity: 48. Datamax IQMID Thermal Transfer Wax/Resin Ribbon for M-Class, I-Class and H-Class Printers, Size: 90mm x 450 Meters, 12rolls/box, MoQ: 48. - Datamax IQMID Certified Thermal Transfer Wax/Resin Ribbon for Datamax M-Class, I-Class and H-Class Printers, Size: 90mm (width) x 450 Meters (length), 12 Rolls per Box, Core ID: 1.0" (25.4mm) - Minimum Order Quantity: 48. Datamax IQMID Thermal Transfer Wax/Resin Ribbon for M-Class, I-Class and H-Class Printers, Size: 83mm x 450 Meters, 12rolls/box, MoQ: 12. - Datamax IQMID Certified Thermal Transfer Wax/Resin Ribbon for Datamax M-Class, I-Class and H-Class Printers, Size: 83mm (width) x 450 Meters (length), 12 Rolls per Box, Core ID: 1.0" (25.4mm) - Minimum Order Quantity: 12. Datamax IQMID Thermal Transfer Wax/Resin Ribbon for M-Class, I-Class and H-Class Printers, Size: 76mm x 450 Meters, 24rolls/box, MoQ: 48. - Datamax IQMID Certified Thermal Transfer Wax/Resin Ribbon for Datamax M-Class, I-Class and H-Class Printers, Size: 76mm (width) x 450 Meters (length), 24 Rolls per Box, Core ID: 1.0" (25.4mm) - Minimum Order Quantity: 48. Datamax IQMID Thermal Transfer Wax/Resin Ribbon for M-Class, I-Class and H-Class Printers, Size: 65mm x 450 Meters, 24rolls/box, MoQ: 48. - Datamax IQMID Certified Thermal Transfer Wax/Resin Ribbon for Datamax M-Class, I-Class and H-Class Printers, Size: 65mm (width) x 450 Meters (length), 24 Rolls per Box, Core ID: 1.0" (25.4mm) - Minimum Order Quantity: 48. Datamax IQMID Thermal Transfer Wax/Resin Ribbon for M-Class, I-Class and H-Class Printers, Size: 60mm x 450 Meters, 24rolls/box, MoQ: 24. - Datamax IQMID Certified Thermal Transfer Wax/Resin Ribbon for Datamax M-Class, I-Class and H-Class Printers, Size: 60mm (width) x 450 Meters (length), 24 Rolls per Box, Core ID: 1.0" (25.4mm) - Minimum Order Quantity: 24. Datamax IQMID Thermal Transfer Wax/Resin Ribbon for M-Class, I-Class and H-Class Printers, Size: 55mm x 450 Meters, 24rolls/box, MoQ: 48. - Datamax IQMID Certified Thermal Transfer Wax/Resin Ribbon for Datamax M-Class, I-Class and H-Class Printers, Size: 55mm (width) x 450 Meters (length), 24 Rolls per Box, Core ID: 1.0" (25.4mm) - Minimum Order Quantity: 48. Datamax IQMID Thermal Transfer Wax/Resin Ribbon for M-Class, I-Class and H-Class Printers, Size: 50mm x 450 Meters, 24rolls/box, MoQ: 48. - Datamax IQMID Certified Thermal Transfer Wax/Resin Ribbon for Datamax M-Class, I-Class and H-Class Printers, Size: 50mm (width) x 450 Meters (length), 24 Rolls per Box, Core ID: 1.0" (25.4mm) - Minimum Order Quantity: 48. Datamax IQMID Thermal Transfer Wax/Resin Ribbon for M-Class, I-Class and H-Class Printers, Size: 38mm x 450 Meters, 48rolls/box, MoQ: 48. - Datamax IQMID Certified Thermal Transfer Wax/Resin Ribbon for Datamax M-Class, I-Class and H-Class Printers, Size: 38mm (width) x 450 Meters (length), 48 Rolls per Box, Core ID: 1.0" (25.4mm) - Minimum Order Quantity: 48. Datamax IQMID Thermal Transfer Wax/Resin Ribbon for M-Class, I-Class and H-Class Printers, Size: 25mm x 450 Meters, 48rolls/box, MoQ: 48. - Datamax IQMID Certified Thermal Transfer Wax/Resin Ribbon for Datamax M-Class, I-Class and H-Class Printers, Size: 25mm (width) x 450 Meters (length), 48 Rolls per Box, Core ID: 1.0" (25.4mm) - Minimum Order Quantity: 48. Datamax IQMID Thermal Transfer Wax/Resin Ribbon for MP Nova, E-Class Mark III Printers, Size: 64mm x 300 Meters, 24rolls/box, MoQ: 48. - Datamax IQMID Certified Thermal Transfer Wax/Resin Ribbon for MP Nova, E-Class Mark III Printers, Size: 64mm (width) x 300 Meters (length), 24 Rolls per Box, Core ID: 1.0" (25.4mm) - Minimum Order Quantity: 48. Datamax IQMID Thermal Transfer Wax/Resin Ribbon for MP Nova, E-Class Mark III Printers, Size: 89mm x 300 Meters, 24rolls/box, MoQ: 48. - Datamax IQMID Certified Thermal Transfer Wax/Resin Ribbon for MP Nova, E-Class Mark III Printers, Size: 89mm (width) x 300 Meters (length), 24 Rolls per Box, Core ID: 1.0" (25.4mm) - Minimum Order Quantity: 48. Datamax IQMID Thermal Transfer Wax/Resin Ribbon for MP Nova, E-Class Mark III Printers, Size: 110mm x 300 Meters, 24rolls/box, MoQ: 48. - Datamax IQMID Certified Thermal Transfer Wax/Resin Ribbon for MP Nova, E-Class Mark III Printers, Size: 110mm (width) x 300 Meters (length), 24 Rolls per Box, Core ID: 1.0" (25.4mm) - Minimum Order Quantity: 48. Datamax IQMID Thermal Transfer Wax/Resin Ribbon for E-Class Mark III Printers, Size: 89mm x 110 Meters, 48rolls/box, MoQ: 48. - Datamax IQMID Certified Thermal Transfer Wax/Resin Ribbon for E-Class Mark III Printers, Size: 89mm (width) x 110 Meters (length), 48 Rolls per Box, Core ID: 0.5" (12.5mm) - Minimum Order Quantity: 48. Datamax IQRES Thermal Transfer Resin Ribbons for M-Class, I-Class and H-Class Printers, Size: 25mm x 360 Meters, 48rolls/box, MoQ: 48. - Datamax IQRES Certified Thermal Transfer Resin Ribbon for Datamax M-Class, I-Class and H-Class Printers, Size: 25mm (width) x 360 Meters (length), 48 Rolls per Box, Core ID: 1.0" (25.4mm) - Minimum Order Quantity: 48. Datamax IQRES Thermal Transfer Resin Ribbons for M-Class, I-Class and H-Class Printers, Size: 38mm x 360 Meters, 48rolls/box, MoQ: 48. - Datamax IQRES Certified Thermal Transfer Resin Ribbon for Datamax M-Class, I-Class and H-Class Printers, Size: 38mm (width) x 360 Meters (length), 48 Rolls per Box, Core ID: 1.0" (25.4mm) - Minimum Order Quantity: 48. Datamax IQRES Thermal Transfer Resin Ribbons for M-Class, I-Class and H-Class Printers, Size: 50mm x 360 Meters, 24rolls/box, MoQ: 48. - Datamax IQRES Certified Thermal Transfer Resin Ribbon for Datamax M-Class, I-Class and H-Class Printers, Size: 50mm (width) x 360 Meters (length), 24 Rolls per Box, Core ID: 1.0" (25.4mm) - Minimum Order Quantity: 48. Datamax IQRES Thermal Transfer Resin Ribbons for M-Class, I-Class and H-Class Printers, Size: 55mm x 360 Meters, 24rolls/box, MoQ: 48. - Datamax IQRES Certified Thermal Transfer Resin Ribbon for Datamax M-Class, I-Class and H-Class Printers, Size: 55mm (width) x 360 Meters (length), 24 Rolls per Box, Core ID: 1.0" (25.4mm) - Minimum Order Quantity: 48. Datamax IQRES Thermal Transfer Resin Ribbons for M-Class, I-Class and H-Class Printers, Size: 76mm x 360 Meters, 24rolls/box, MoQ: 48. - Datamax IQRES Certified Thermal Transfer Resin Ribbon for Datamax M-Class, I-Class and H-Class Printers, Size: 76mm (width) x 360 Meters (length), 24 Rolls per Box, Core ID: 1.0" (25.4mm) - Minimum Order Quantity: 48. Datamax IQRES Thermal Transfer Resin Ribbons for M-Class, I-Class and H-Class Printers, Size: 83mm x 360 Meters, 24rolls/box, MoQ: 24. - Datamax IQRES Certified Thermal Transfer Resin Ribbon for Datamax M-Class, I-Class and H-Class Printers, Size: 83mm (width) x 360 Meters (length), 24 Rolls per Box, Core ID: 1.0" (25.4mm) - Minimum Order Quantity: 24. Datamax IQRES Thermal Transfer Resin Ribbons for M-Class, I-Class and H-Class Printers, Size: 90mm x 360 Meters, 24rolls/box, MoQ: 48. - Datamax IQRES Certified Thermal Transfer Resin Ribbon for Datamax M-Class, I-Class and H-Class Printers, Size: 90mm (width) x 360 Meters (length), 24 Rolls per Box, Core ID: 1.0" (25.4mm) - Minimum Order Quantity: 48. Datamax IQRES Thermal Transfer Resin Ribbons for M-Class, I-Class and H-Class Printers, Size: 130mm x 360 Meters, 12rolls/box, MoQ: 48. - Datamax IQRES Certified Thermal Transfer Resin Ribbon for Datamax M-Class, I-Class and H-Class Printers, Size: 130mm (width) x 360 Meters (length), 12 Rolls per Box, Core ID: 1.0" (25.4mm) - Minimum Order Quantity: 48. Datamax IQRES Thermal Transfer Resin Ribbons for M-Class, I-Class and H-Class Printers, Size: 150mm x 360 Meters, 12rolls/box, MoQ: 48. - Datamax IQRES Certified Thermal Transfer Resin Ribbon for Datamax M-Class, I-Class and H-Class Printers, Size: 150mm (width) x 360 Meters (length), 12 Rolls per Box, Core ID: 1.0" (25.4mm) - Minimum Order Quantity: 48. Datamax IQRES Thermal Transfer Resin Ribbons for M-Class, I-Class and H-Class Printers, Size: 166mm x 360 Meters, 12rolls/box, MoQ: 48. - Datamax IQRES Certified Thermal Transfer Resin Ribbon for Datamax M-Class, I-Class and H-Class Printers, Size: 166mm (width) x 360 Meters (length), 12 Rolls per Box, Core ID: 1.0" (25.4mm) - Minimum Order Quantity: 48. Datamax IQRES Thermal Transfer Resin Ribbons for M-Class, I-Class and H-Class Printers, Size: 220mm x 360 Meters, 6rolls/box, MoQ: 48. - Datamax IQRES Certified Thermal Transfer Resin Ribbon for Datamax M-Class, I-Class and H-Class Printers, Size: 220mm (width) x 360 Meters (length), 6 Rolls per Box, Core ID: 1.0" (25.4mm) - Minimum Order Quantity: 48. Datamax IQRES Thermal Transfer Resin Ribbons for M-Class, I-Class and H-Class Printers, Size: 25mm x 450 Meters, 48rolls/box, MoQ: 48. - Datamax IQRES Certified Thermal Transfer Resin Ribbon for Datamax M-Class, I-Class and H-Class Printers, Size: 25mm (width) x 450 Meters (length), 48 Rolls per Box, Core ID: 1" (25.4mm) - Minimum Order Quantity: 48. Datamax IQRES Thermal Transfer Resin Ribbons for M-Class, I-Class and H-Class Printers, Size: 38mm x 450 Meters, 48rolls/box, MoQ: 48. - Datamax IQRES Certified Thermal Transfer Resin Ribbon for Datamax M-Class, I-Class and H-Class Printers, Size: 38mm (width) x 450 Meters (length), 48 Rolls per Box, Core ID: 1" (25.4mm) - Minimum Order Quantity: 48. Datamax IQRES Thermal Transfer Resin Ribbons for M-Class, I-Class and H-Class Printers, Size: 50mm x 450 Meters, 24rolls/box, MoQ: 48. - Datamax IQRES Certified Thermal Transfer Resin Ribbon for Datamax M-Class, I-Class and H-Class Printers, Size: 50mm (width) x 450 Meters (length), 24 Rolls per Box, Core ID: 1" (25.4mm) - Minimum Order Quantity: 48. Datamax IQRES Thermal Transfer Resin Ribbons for M-Class, I-Class and H-Class Printers, Size: 55mm x 450 Meters, 24rolls/box, MoQ: 48. - Datamax IQRES Certified Thermal Transfer Resin Ribbon for Datamax M-Class, I-Class and H-Class Printers, Size: 55mm (width) x 450 Meters (length), 24 Rolls per Box, Core ID: 1" (25.4mm) - Minimum Order Quantity: 48. Datamax IQRES Thermal Transfer Resin Ribbons for M-Class, I-Class and H-Class Printers, Size: 60mm x 450 Meters, 24rolls/box, MoQ: 48. - Datamax IQRES Certified Thermal Transfer Resin Ribbon for Datamax M-Class, I-Class and H-Class Printers, Size: 60mm (width) x 450 Meters (length), 24 Rolls per Box, Core ID: 1" (25.4mm) - Minimum Order Quantity: 48. Datamax IQRES Thermal Transfer Resin Ribbons for M-Class, I-Class and H-Class Printers, Size: 76mm x 450 Meters, 24rolls/box, MoQ: 48. - Datamax IQRES Certified Thermal Transfer Resin Ribbon for Datamax M-Class, I-Class and H-Class Printers, Size: 76mm (width) x 450 Meters (length), 24 Rolls per Box, Core ID: 1" (25.4mm) - Minimum Order Quantity: 48. Datamax IQRES Thermal Transfer Resin Ribbons for M-Class, I-Class and H-Class Printers, Size: 83mm x 450 Meters, 12rolls/box, MoQ: 12. - Datamax IQRES Certified Thermal Transfer Resin Ribbon for Datamax M-Class, I-Class and H-Class Printers, Size: 83mm (width) x 450 Meters (length), 12 Rolls per Box, Core ID: 1" (25.4mm) - Minimum Order Quantity: 12. Datamax IQRES Thermal Transfer Resin Ribbons for M-Class, I-Class and H-Class Printers, Size: 90mm x 450 Meters, 12rolls/box, MoQ: 48. - Datamax IQRES Certified Thermal Transfer Resin Ribbon for Datamax M-Class, I-Class and H-Class Printers, Size: 90mm (width) x 450 Meters (length), 12 Rolls per Box, Core ID: 1" (25.4mm) - Minimum Order Quantity: 48. Datamax IQRES Thermal Transfer Resin Ribbons for M-Class, I-Class and H-Class Printers, Size: 114mm x 450 Meters, 12rolls/box, MoQ: 48. - Datamax IQRES Certified Thermal Transfer Resin Ribbon for Datamax M-Class, I-Class and H-Class Printers, Size: 114mm (width) x 450 Meters (length), 12 Rolls per Box, Core ID: 1" (25.4mm) - Minimum Order Quantity: 48. Datamax IQRES Thermal Transfer Resin Ribbons for M-Class, I-Class and H-Class Printers, Size: 130mm x 450 Meters, 12rolls/box, MoQ: 48. - Datamax IQRES Certified Thermal Transfer Resin Ribbon for Datamax M-Class, I-Class and H-Class Printers, Size: 130mm (width) x 450 Meters (length), 12 Rolls per Box, Core ID: 1" (25.4mm) - Minimum Order Quantity: 48. Datamax IQRES Thermal Transfer Resin Ribbons for M-Class, I-Class and H-Class Printers, Size: 166mm x 450 Meters, 12rolls/box, MoQ: 48. - Datamax IQRES Certified Thermal Transfer Resin Ribbon for Datamax M-Class, I-Class and H-Class Printers, Size: 166mm (width) x 450 Meters (length), 12 Rolls per Box, Core ID: 1" (25.4mm) - Minimum Order Quantity: 48. Datamax IQRES Thermal Transfer Resin Ribbons for MP Nova, E-Class Mark III Printers, Size: 89mm x 300 Meters, 24rolls/box, MoQ: 48. - Datamax IQRES Certified Thermal Transfer Resin Ribbon for Datamax MP Nova, E-Class Mark III Printers, Size: 89mm (width) x 300 Meters (length), 24 Rolls per Box, Core ID: 1.0" (25.4mm) - Minimum Order Quantity: 48. Datamax IQRES Thermal Transfer Resin Ribbons for E-Class Mark III Printers, Size: 89mm x 110 Meters, 48rolls/box, MoQ: 48. - Datamax IQRES Certified Thermal Transfer Resin Ribbon for Datamax E-Class Mark III Printers, Size: 89mm (width) x 110 Meters (length), 48 Rolls per Box, Core ID: 0.5" (12.5mm) - Minimum Order Quantity: 48. Select Product * Please select product Datamax IQMID Thermal Transfer Wax/Resin Ribbon for E-Class Mark III Printers, Size: 110mm x 110 Meters, 48rolls/box, MoQ: 48. Datamax IQMID Thermal Transfer Wax/Resin Ribbon for E-Class Mark III Printers, Size: 64mm x 110 Meters, 48rolls/box, MoQ: 48. Datamax IQMID Thermal Transfer Wax/Resin Ribbon for E-Class Mark III Printers, Size: 89mm x 110 Meters, 48rolls/box, MoQ: 48. Datamax IQMID Thermal Transfer Wax/Resin Ribbon for M-Class, I-Class and H-Class Printers, Size: 102mm x 360 Meters, 12rolls/box, MoQ: 12. Datamax IQMID Thermal Transfer Wax/Resin Ribbon for M-Class, I-Class and H-Class Printers, Size: 110mm x 360 Meters, 12rolls/box, MoQ: 12. Datamax IQMID Thermal Transfer Wax/Resin Ribbon for M-Class, I-Class and H-Class Printers, Size: 110mm x 450 Meters, 12rolls/box, MoQ: 12. Datamax IQMID Thermal Transfer Wax/Resin Ribbon for M-Class, I-Class and H-Class Printers, Size: 114m x 360 Meters, 12rolls/box, MoQ: 48. Datamax IQMID Thermal Transfer Wax/Resin Ribbon for M-Class, I-Class and H-Class Printers, Size: 114mm x 450 Meters, 12rolls/box, MoQ: 48. Datamax IQMID Thermal Transfer Wax/Resin Ribbon for M-Class, I-Class and H-Class Printers, Size: 130mm x 360 Meters, 12rolls/box, MoQ: 48. Datamax IQMID Thermal Transfer Wax/Resin Ribbon for M-Class, I-Class and H-Class Printers, Size: 130mm x 450 Meters, 12rolls/box, MoQ: 48. Datamax IQMID Thermal Transfer Wax/Resin Ribbon for M-Class, I-Class and H-Class Printers, Size: 150mm x 360 Meters, 12rolls/box, MoQ: 48. Datamax IQMID Thermal Transfer Wax/Resin Ribbon for M-Class, I-Class and H-Class Printers, Size: 150mm x 450 Meters, 12rolls/box, MoQ: 48. Datamax IQMID Thermal Transfer Wax/Resin Ribbon for M-Class, I-Class and H-Class Printers, Size: 166mm x 360 Meters, 12rolls/box, MoQ: 48. Datamax IQMID Thermal Transfer Wax/Resin Ribbon for M-Class, I-Class and H-Class Printers, Size: 166mm x 450 Meters, 12rolls/box, MoQ: 48. Datamax IQMID Thermal Transfer Wax/Resin Ribbon for M-Class, I-Class and H-Class Printers, Size: 220mm x 360 Meters, 6rolls/box, MoQ: 48. Datamax IQMID Thermal Transfer Wax/Resin Ribbon for M-Class, I-Class and H-Class Printers, Size: 220mm x 450 Meters, 12rolls/box, MoQ: 48. Datamax IQMID Thermal Transfer Wax/Resin Ribbon for M-Class, I-Class and H-Class Printers, Size: 25mm x 360 Meters, 48rolls/box, MoQ: 48. Datamax IQMID Thermal Transfer Wax/Resin Ribbon for M-Class, I-Class and H-Class Printers, Size: 25mm x 450 Meters, 48rolls/box, MoQ: 48. Datamax IQMID Thermal Transfer Wax/Resin Ribbon for M-Class, I-Class and H-Class Printers, Size: 38mm x 360 Meters, 48rolls/box, MoQ: 48. Datamax IQMID Thermal Transfer Wax/Resin Ribbon for M-Class, I-Class and H-Class Printers, Size: 38mm x 450 Meters, 48rolls/box, MoQ: 48. Datamax IQMID Thermal Transfer Wax/Resin Ribbon for M-Class, I-Class and H-Class Printers, Size: 50mm x 360 Meters, 24rolls/box, MoQ: 48. Datamax IQMID Thermal Transfer Wax/Resin Ribbon for M-Class, I-Class and H-Class Printers, Size: 50mm x 450 Meters, 24rolls/box, MoQ: 48. Datamax IQMID Thermal Transfer Wax/Resin Ribbon for M-Class, I-Class and H-Class Printers, Size: 55mm x 360 Meters, 24rolls/box, MoQ: 48. Datamax IQMID Thermal Transfer Wax/Resin Ribbon for M-Class, I-Class and H-Class Printers, Size: 55mm x 450 Meters, 24rolls/box, MoQ: 48. Datamax IQMID Thermal Transfer Wax/Resin Ribbon for M-Class, I-Class and H-Class Printers, Size: 60mm x 360 Meters, 24rolls/box, MoQ: 248. Datamax IQMID Thermal Transfer Wax/Resin Ribbon for M-Class, I-Class and H-Class Printers, Size: 60mm x 450 Meters, 24rolls/box, MoQ: 24. Datamax IQMID Thermal Transfer Wax/Resin Ribbon for M-Class, I-Class and H-Class Printers, Size: 65mm x 450 Meters, 24rolls/box, MoQ: 48. Datamax IQMID Thermal Transfer Wax/Resin Ribbon for M-Class, I-Class and H-Class Printers, Size: 66mm x 360 Meters, 24rolls/box, MoQ: 48. Datamax IQMID Thermal Transfer Wax/Resin Ribbon for M-Class, I-Class and H-Class Printers, Size: 76mm x 360 Meters, 24rolls/box, MoQ: 48. Datamax IQMID Thermal Transfer Wax/Resin Ribbon for M-Class, I-Class and H-Class Printers, Size: 76mm x 450 Meters, 24rolls/box, MoQ: 48. Datamax IQMID Thermal Transfer Wax/Resin Ribbon for M-Class, I-Class and H-Class Printers, Size: 83mm x 360 Meters, 24rolls/box, MoQ: 24. Datamax IQMID Thermal Transfer Wax/Resin Ribbon for M-Class, I-Class and H-Class Printers, Size: 83mm x 450 Meters, 12rolls/box, MoQ: 12. Datamax IQMID Thermal Transfer Wax/Resin Ribbon for M-Class, I-Class and H-Class Printers, Size: 90mm x 360 Meters, 24rolls/box, MoQ: 48. Datamax IQMID Thermal Transfer Wax/Resin Ribbon for M-Class, I-Class and H-Class Printers, Size: 90mm x 450 Meters, 12rolls/box, MoQ: 48. Datamax IQMID Thermal Transfer Wax/Resin Ribbon for MP Nova, E-Class Mark III Printers, Size: 110mm x 300 Meters, 24rolls/box, MoQ: 48. Datamax IQMID Thermal Transfer Wax/Resin Ribbon for MP Nova, E-Class Mark III Printers, Size: 64mm x 300 Meters, 24rolls/box, MoQ: 48. Datamax IQMID Thermal Transfer Wax/Resin Ribbon for MP Nova, E-Class Mark III Printers, Size: 89mm x 300 Meters, 24rolls/box, MoQ: 48. Datamax IQRES Thermal Transfer Resin Ribbons for E-Class Mark III Printers, Size: 110mm x 110 Meters, 48rolls/box, MoQ: 48. Datamax IQRES Thermal Transfer Resin Ribbons for E-Class Mark III Printers, Size: 64mm x 110 Meters, 48rolls/box, MoQ: 48. Datamax IQRES Thermal Transfer Resin Ribbons for E-Class Mark III Printers, Size: 89mm x 110 Meters, 48rolls/box, MoQ: 48. Datamax IQRES Thermal Transfer Resin Ribbons for M-Class, I-Class and H-Class Printers, Size: 102mm x 360 Meters, 12rolls/box, MoQ: 12. Datamax IQRES Thermal Transfer Resin Ribbons for M-Class, I-Class and H-Class Printers, Size: 110mm x 360 Meters, 12rolls/box, MoQ: 12. Datamax IQRES Thermal Transfer Resin Ribbons for M-Class, I-Class and H-Class Printers, Size: 110mm x 450 Meters, 12rolls/box, MoQ: 12. Datamax IQRES Thermal Transfer Resin Ribbons for M-Class, I-Class and H-Class Printers, Size: 114mm x 360 Meters, 12rolls/box, MoQ: 48. Datamax IQRES Thermal Transfer Resin Ribbons for M-Class, I-Class and H-Class Printers, Size: 114mm x 450 Meters, 12rolls/box, MoQ: 48. Datamax IQRES Thermal Transfer Resin Ribbons for M-Class, I-Class and H-Class Printers, Size: 130mm x 360 Meters, 12rolls/box, MoQ: 48. Datamax IQRES Thermal Transfer Resin Ribbons for M-Class, I-Class and H-Class Printers, Size: 130mm x 450 Meters, 12rolls/box, MoQ: 48. Datamax IQRES Thermal Transfer Resin Ribbons for M-Class, I-Class and H-Class Printers, Size: 150mm x 360 Meters, 12rolls/box, MoQ: 48. Datamax IQRES Thermal Transfer Resin Ribbons for M-Class, I-Class and H-Class Printers, Size: 150mm x 450 Meters, 12rolls/box, MoQ: 48. Datamax IQRES Thermal Transfer Resin Ribbons for M-Class, I-Class and H-Class Printers, Size: 166mm x 360 Meters, 12rolls/box, MoQ: 48. Datamax IQRES Thermal Transfer Resin Ribbons for M-Class, I-Class and H-Class Printers, Size: 166mm x 450 Meters, 12rolls/box, MoQ: 48. Datamax IQRES Thermal Transfer Resin Ribbons for M-Class, I-Class and H-Class Printers, Size: 220mm x 360 Meters, 6rolls/box, MoQ: 48. Datamax IQRES Thermal Transfer Resin Ribbons for M-Class, I-Class and H-Class Printers, Size: 220mm x 450 Meters, 12rolls/box, MoQ: 48. Datamax IQRES Thermal Transfer Resin Ribbons for M-Class, I-Class and H-Class Printers, Size: 25mm x 360 Meters, 48rolls/box, MoQ: 48. Datamax IQRES Thermal Transfer Resin Ribbons for M-Class, I-Class and H-Class Printers, Size: 25mm x 450 Meters, 48rolls/box, MoQ: 48. Datamax IQRES Thermal Transfer Resin Ribbons for M-Class, I-Class and H-Class Printers, Size: 38mm x 360 Meters, 48rolls/box, MoQ: 48. Datamax IQRES Thermal Transfer Resin Ribbons for M-Class, I-Class and H-Class Printers, Size: 38mm x 450 Meters, 48rolls/box, MoQ: 48. Datamax IQRES Thermal Transfer Resin Ribbons for M-Class, I-Class and H-Class Printers, Size: 50mm x 360 Meters, 24rolls/box, MoQ: 48. Datamax IQRES Thermal Transfer Resin Ribbons for M-Class, I-Class and H-Class Printers, Size: 50mm x 450 Meters, 24rolls/box, MoQ: 48. Datamax IQRES Thermal Transfer Resin Ribbons for M-Class, I-Class and H-Class Printers, Size: 55mm x 360 Meters, 24rolls/box, MoQ: 48. Datamax IQRES Thermal Transfer Resin Ribbons for M-Class, I-Class and H-Class Printers, Size: 55mm x 450 Meters, 24rolls/box, MoQ: 48. Datamax IQRES Thermal Transfer Resin Ribbons for M-Class, I-Class and H-Class Printers, Size: 60mm x 360 Meters, 24rolls/box, MoQ: 24. Datamax IQRES Thermal Transfer Resin Ribbons for M-Class, I-Class and H-Class Printers, Size: 60mm x 450 Meters, 24rolls/box, MoQ: 48. Datamax IQRES Thermal Transfer Resin Ribbons for M-Class, I-Class and H-Class Printers, Size: 65mm x 360 Meters, 24rolls/box, MoQ: 48. Datamax IQRES Thermal Transfer Resin Ribbons for M-Class, I-Class and H-Class Printers, Size: 65mm x 450 Meters, 24rolls/box, MoQ: 48. Datamax IQRES Thermal Transfer Resin Ribbons for M-Class, I-Class and H-Class Printers, Size: 76mm x 360 Meters, 24rolls/box, MoQ: 48. Datamax IQRES Thermal Transfer Resin Ribbons for M-Class, I-Class and H-Class Printers, Size: 76mm x 450 Meters, 24rolls/box, MoQ: 48. Datamax IQRES Thermal Transfer Resin Ribbons for M-Class, I-Class and H-Class Printers, Size: 83mm x 360 Meters, 24rolls/box, MoQ: 24. Datamax IQRES Thermal Transfer Resin Ribbons for M-Class, I-Class and H-Class Printers, Size: 83mm x 450 Meters, 12rolls/box, MoQ: 12. Datamax IQRES Thermal Transfer Resin Ribbons for M-Class, I-Class and H-Class Printers, Size: 90mm x 360 Meters, 24rolls/box, MoQ: 48. Datamax IQRES Thermal Transfer Resin Ribbons for M-Class, I-Class and H-Class Printers, Size: 90mm x 450 Meters, 12rolls/box, MoQ: 48. Datamax IQRES Thermal Transfer Resin Ribbons for MP Nova, E-Class Mark III Printers, Size: 110mm x 300 Meters, 24rolls/box, MoQ: 48. Datamax IQRES Thermal Transfer Resin Ribbons for MP Nova, E-Class Mark III Printers, Size: 64mm x 300 Meters, 24rolls/box, MoQ: 48. Datamax IQRES Thermal Transfer Resin Ribbons for MP Nova, E-Class Mark III Printers, Size: 89mm x 300 Meters, 24rolls/box, MoQ: 48. Datamax IQWax Thermal Transfer Wax Ribbons for E-Class Mark III Printers, Size: 110mm x 110 Meters, 48rolls/box, MoQ: 48. Datamax IQWax Thermal Transfer Wax Ribbons for E-Class Mark III Printers, Size: 110mm x 300 Meters, 24rolls/box, MoQ: 48. Datamax IQWax Thermal Transfer Wax Ribbons for E-Class Mark III Printers, Size: 64mm x 110 Meters, 48rolls/box, MoQ: 48. Datamax IQWax Thermal Transfer Wax Ribbons for E-Class Mark III Printers, Size: 64mm x 300 Meters, 24rolls/box, MoQ: 48. Datamax IQWax Thermal Transfer Wax Ribbons for E-Class Mark III Printers, Size: 89mm x 110 Meters, 48rolls/box, MoQ: 48. Datamax IQWax Thermal Transfer Wax Ribbons for E-Class Mark III Printers, Size: 89mm x 300 Meters, 24rolls/box, MoQ: 48. Datamax IQWax Thermal Transfer Wax Ribbons for M-Class, I-Class and H-Class Printers, Size: 102mm x 360 Meters, 12rolls/box, MoQ: 12. Datamax IQWax Thermal Transfer Wax Ribbons for M-Class, I-Class and H-Class Printers, Size: 110mm x 360 Meters, 12rolls/box, MoQ: 12. Datamax IQWax Thermal Transfer Wax Ribbons for M-Class, I-Class and H-Class Printers, Size: 110mm x 450 Meters, 12rolls/box, MoQ: 12. Datamax IQWax Thermal Transfer Wax Ribbons for M-Class, I-Class and H-Class Printers, Size: 114mm x 360 Meters, 12rolls/box, MoQ: 12. Datamax IQWax Thermal Transfer Wax Ribbons for M-Class, I-Class and H-Class Printers, Size: 114mm x 450 Meters, 12rolls/box, MoQ: 48. Datamax IQWax Thermal Transfer Wax Ribbons for M-Class, I-Class and H-Class Printers, Size: 130mm x 360 Meters, 12rolls/box, MoQ: 48. Datamax IQWax Thermal Transfer Wax Ribbons for M-Class, I-Class and H-Class Printers, Size: 130mm x 450 Meters, 12rolls/box, MoQ: 48. Datamax IQWax Thermal Transfer Wax Ribbons for M-Class, I-Class and H-Class Printers, Size: 150mm x 360 Meters, 12rolls/box, MoQ: 48. Datamax IQWax Thermal Transfer Wax Ribbons for M-Class, I-Class and H-Class Printers, Size: 150mm x 450 Meters, 12rolls/box, MoQ: 48. Datamax IQWax Thermal Transfer Wax Ribbons for M-Class, I-Class and H-Class Printers, Size: 166mm x 360 Meters, 12rolls/box, MoQ: 48. Datamax IQWax Thermal Transfer Wax Ribbons for M-Class, I-Class and H-Class Printers, Size: 166mm x 450 Meters, 12rolls/box, MoQ: 48. Datamax IQWax Thermal Transfer Wax Ribbons for M-Class, I-Class and H-Class Printers, Size: 220mm x 360 Meters, 6rolls/box, MoQ: 48. Datamax IQWax Thermal Transfer Wax Ribbons for M-Class, I-Class and H-Class Printers, Size: 220mm x 450 Meters, 12rolls/box, MoQ: 48. Datamax IQWax Thermal Transfer Wax Ribbons for M-Class, I-Class and H-Class Printers, Size: 25mm x 360 Meters, 48rolls/box, MoQ: 48. Datamax IQWax Thermal Transfer Wax Ribbons for M-Class, I-Class and H-Class Printers, Size: 25mm x 450 Meters, 48rolls/box, MoQ: 48. Datamax IQWax Thermal Transfer Wax Ribbons for M-Class, I-Class and H-Class Printers, Size: 38mm x 360 Meters, 48rolls/box, MoQ: 48. Datamax IQWax Thermal Transfer Wax Ribbons for M-Class, I-Class and H-Class Printers, Size: 38mm x 450 Meters, 48rolls/box, MoQ: 48. Datamax IQWax Thermal Transfer Wax Ribbons for M-Class, I-Class and H-Class Printers, Size: 50mm x 360 Meters, 24rolls/box, MoQ: 24. Datamax IQWax Thermal Transfer Wax Ribbons for M-Class, I-Class and H-Class Printers, Size: 50mm x 450 Meters, 24rolls/box, MoQ: 48. Datamax IQWax Thermal Transfer Wax Ribbons for M-Class, I-Class and H-Class Printers, Size: 55mm x 360 Meters, 24rolls/box, MoQ: 24. Datamax IQWax Thermal Transfer Wax Ribbons for M-Class, I-Class and H-Class Printers, Size: 55mm x 450 Meters, 24rolls/box, MoQ: 48. Datamax IQWax Thermal Transfer Wax Ribbons for M-Class, I-Class and H-Class Printers, Size: 60mm x 360 Meters, 24rolls/box, MoQ: 24. Datamax IQWax Thermal Transfer Wax Ribbons for M-Class, I-Class and H-Class Printers, Size: 60mm x 450 Meters, 24rolls/box, MoQ: 48. Datamax IQWax Thermal Transfer Wax Ribbons for M-Class, I-Class and H-Class Printers, Size: 65mm x 360 Meters, 24rolls/box, MoQ: 48. Datamax IQWax Thermal Transfer Wax Ribbons for M-Class, I-Class and H-Class Printers, Size: 65mm x 450 Meters, 24rolls/box, MoQ: 48. Datamax IQWax Thermal Transfer Wax Ribbons for M-Class, I-Class and H-Class Printers, Size: 76mm x 360 Meters, 24rolls/box, MoQ: 24. Datamax IQWax Thermal Transfer Wax Ribbons for M-Class, I-Class and H-Class Printers, Size: 76mm x 450 Meters, 24rolls/box, MoQ: 24. Datamax IQWax Thermal Transfer Wax Ribbons for M-Class, I-Class and H-Class Printers, Size: 83mm x 360 Meters, 24rolls/box, MoQ: 48. Datamax IQWax Thermal Transfer Wax Ribbons for M-Class, I-Class and H-Class Printers, Size: 83mm x 450 Meters, 12rolls/box, MoQ: 48. Datamax IQWax Thermal Transfer Wax Ribbons for M-Class, I-Class and H-Class Printers, Size: 90mm x 360 Meters, 24rolls/box, MoQ: 24. Datamax IQWax Thermal Transfer Wax Ribbons for M-Class, I-Class and H-Class Printers, Size: 90mm x 450 Meters, 12rolls/box, MoQ: 48.